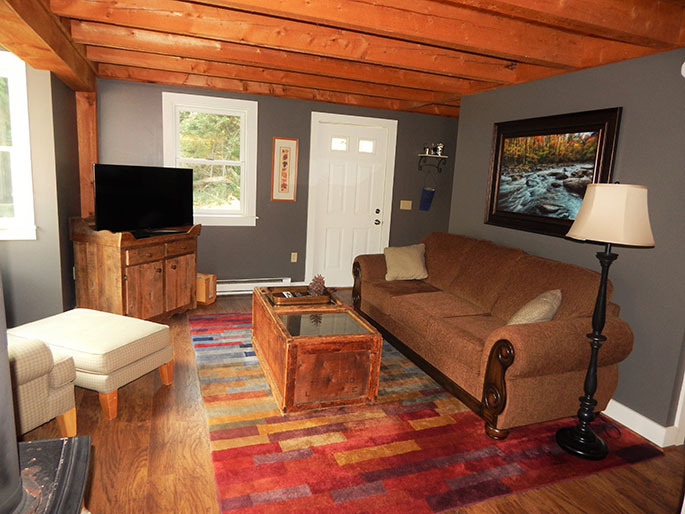 "South Side" This newly renovated 3 bedroom condo is situated on the beautiful Battenkill river in Manchester VT. Close to Manchester Center where you can shop til you drop and choose from a large array of great restaurants. 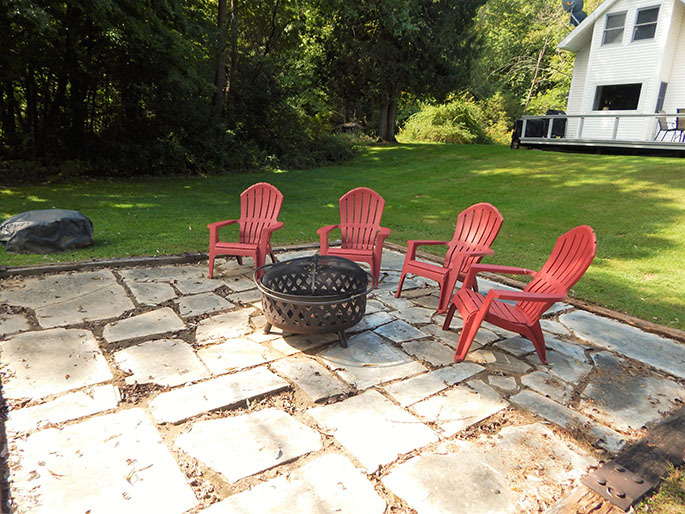 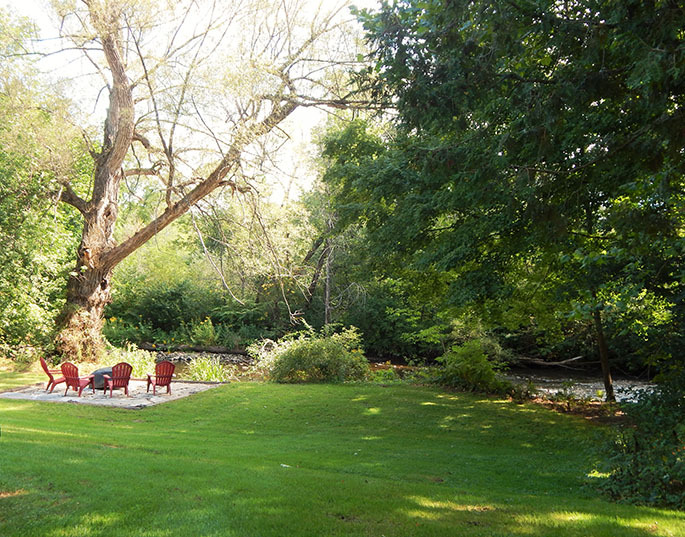 Offering lovely features such as new hard wood floors, new appliances, woodstove and a fire pit overlooking the river. 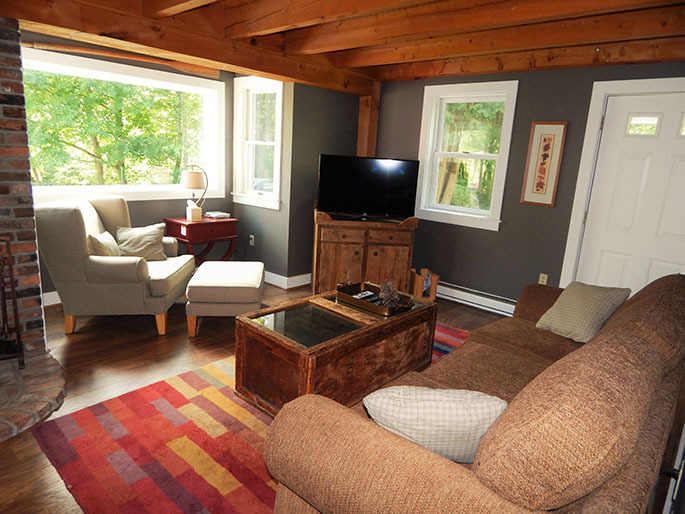 The living room has a flat screen TV. 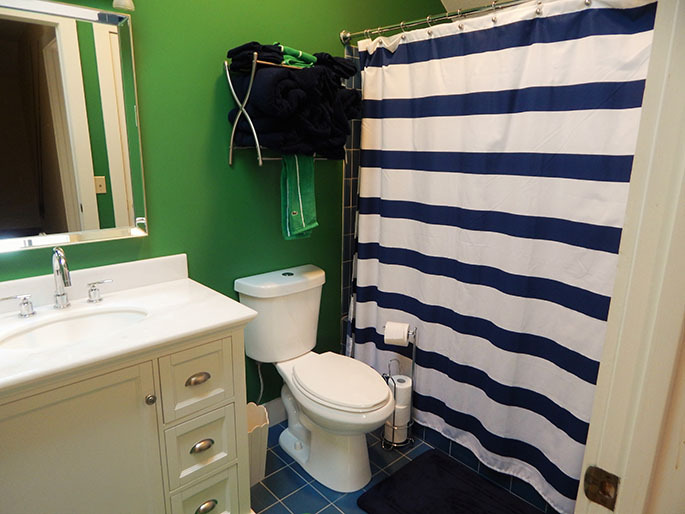 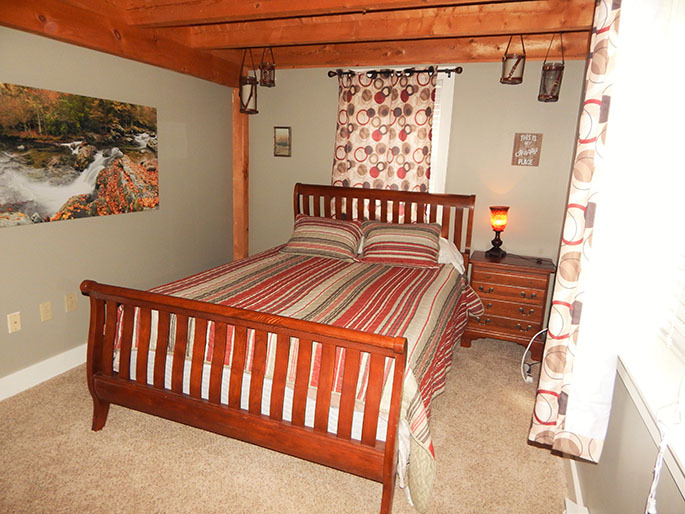 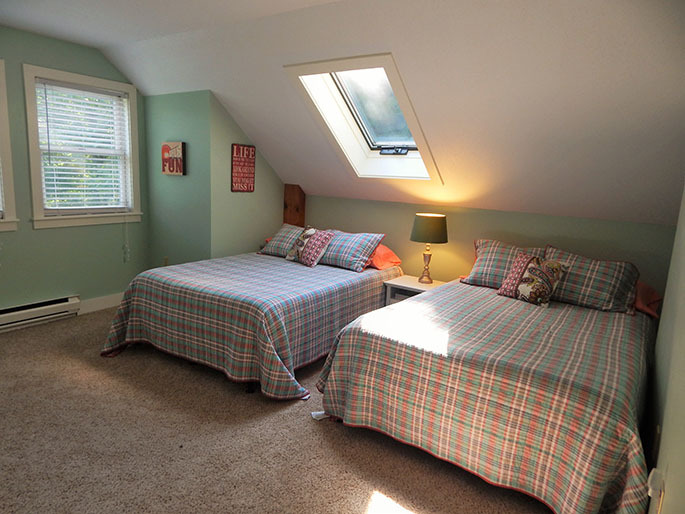 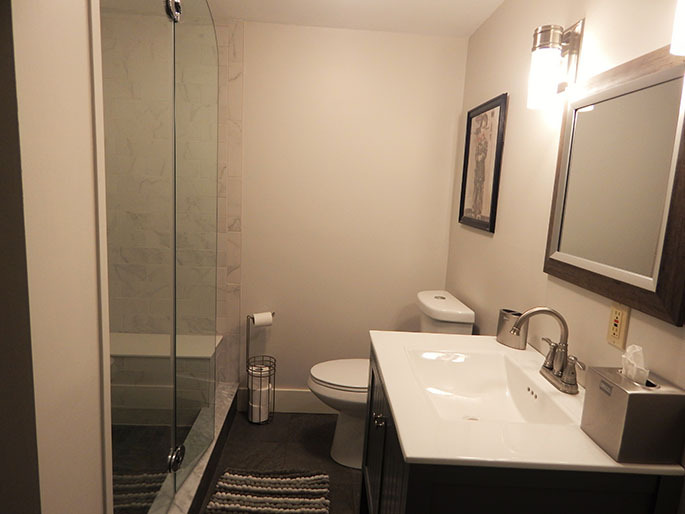 The main level has a full bath and bedroom with a queen bed. 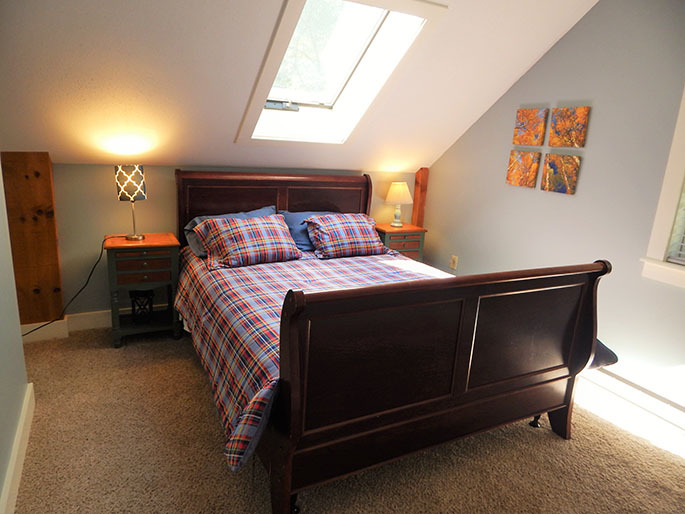 Two bedrooms upstairs, one with a queen size bed and the other with two full beds as well as a full bath complete this level. 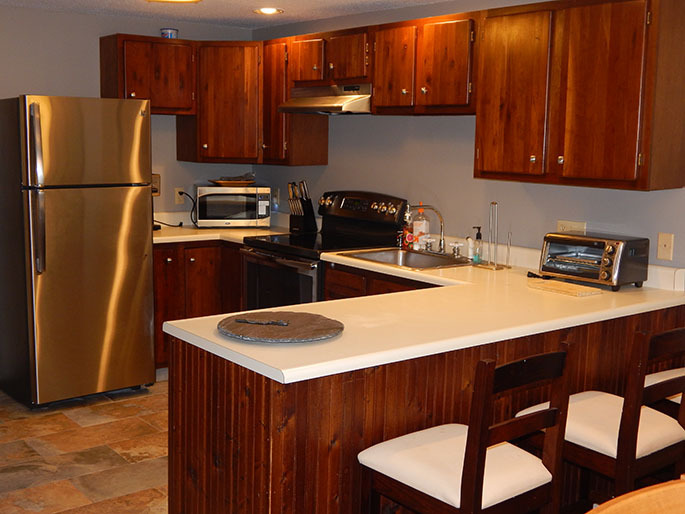 If you're looking for something close to everything, then this is the right place for you! 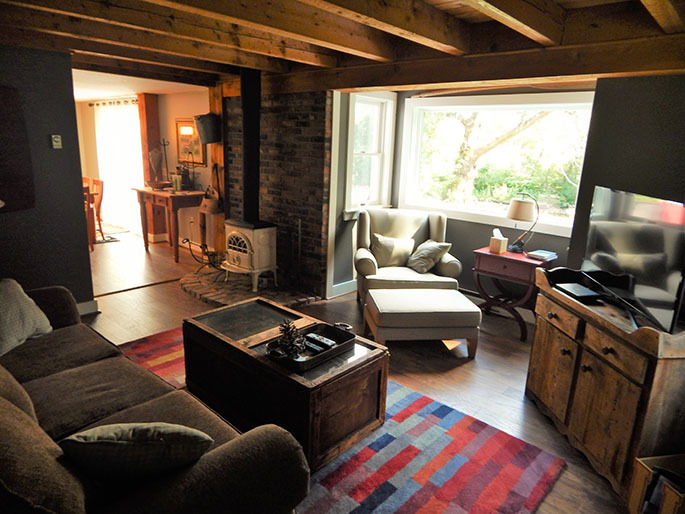 Perfect spot for staying during the Vermont Horseshow Festival in the summer! 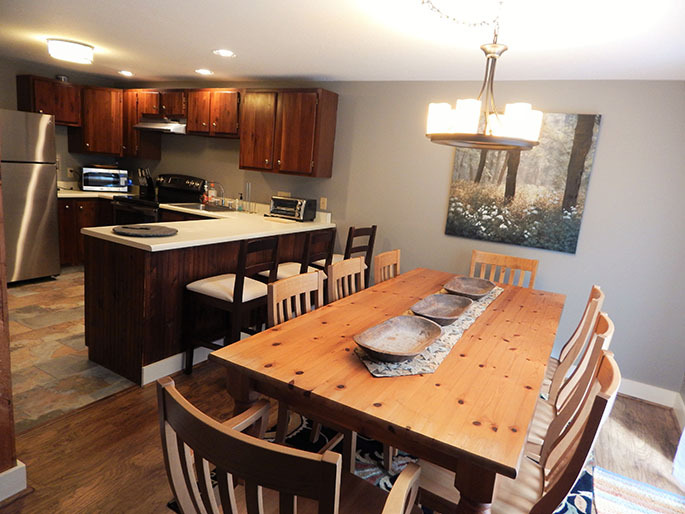 If you're looking to hit the slopes, this condo is just 10 minutes to Bromley and 20 minutes to Stratton. 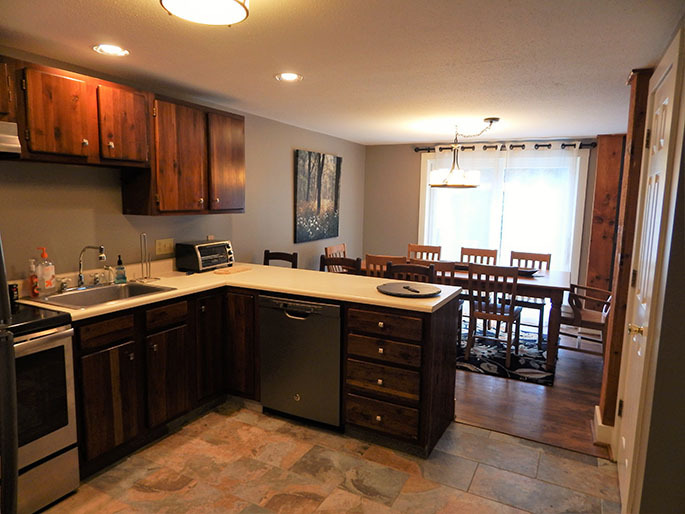 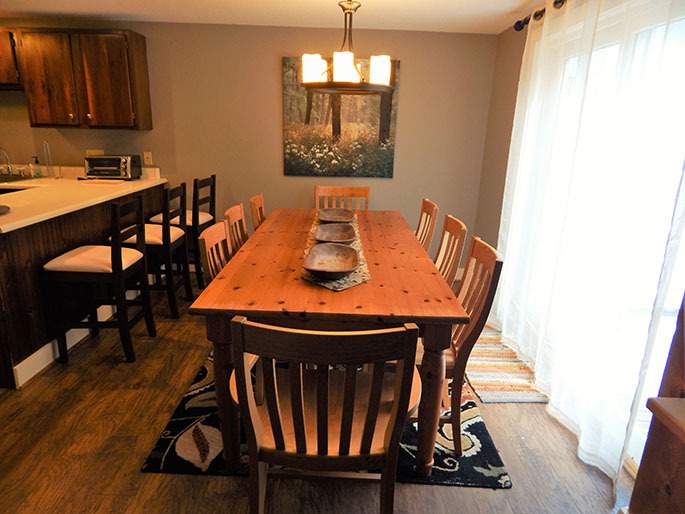 Call to book this fantastic condo for your Vermont vacation today!